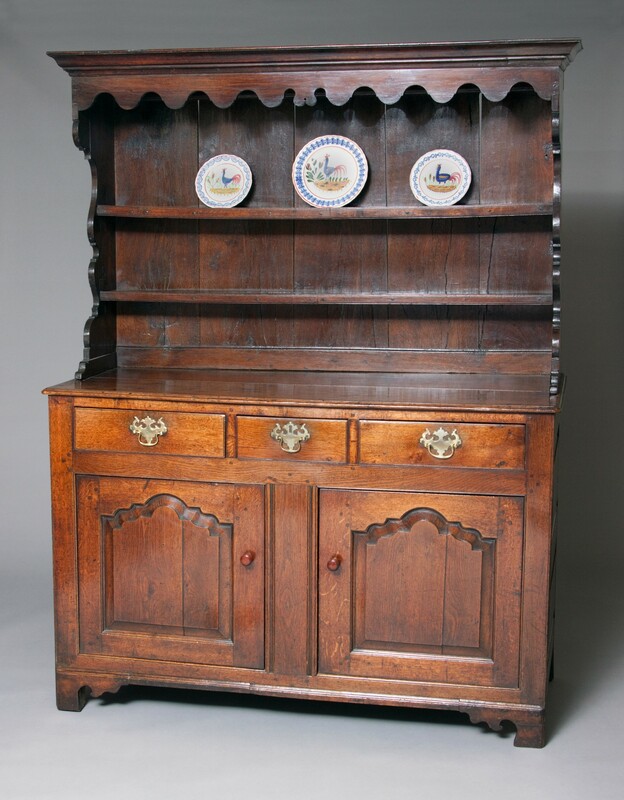 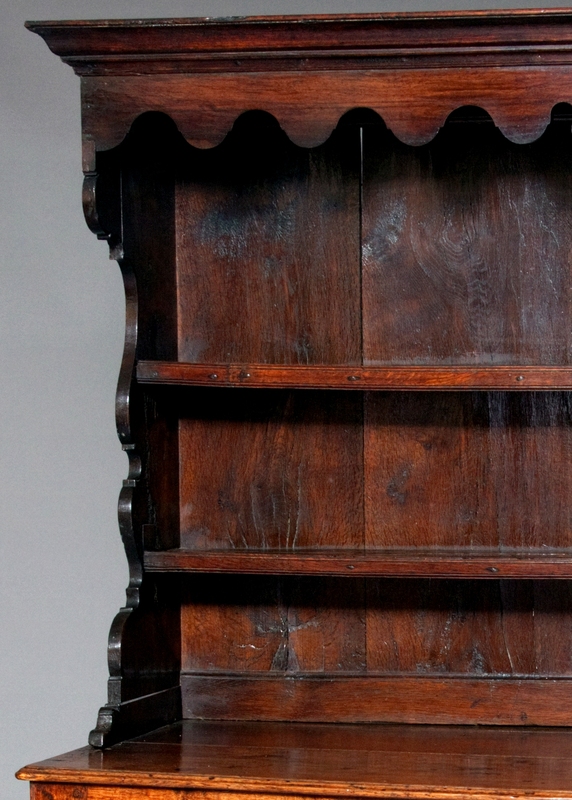 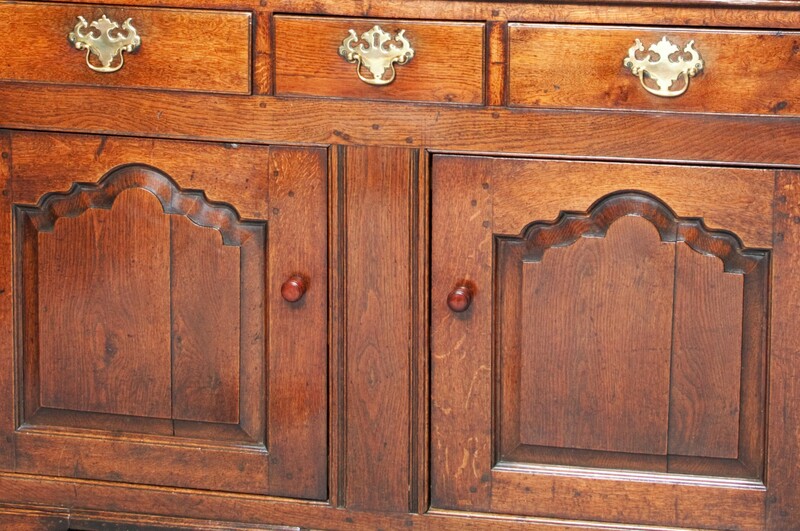 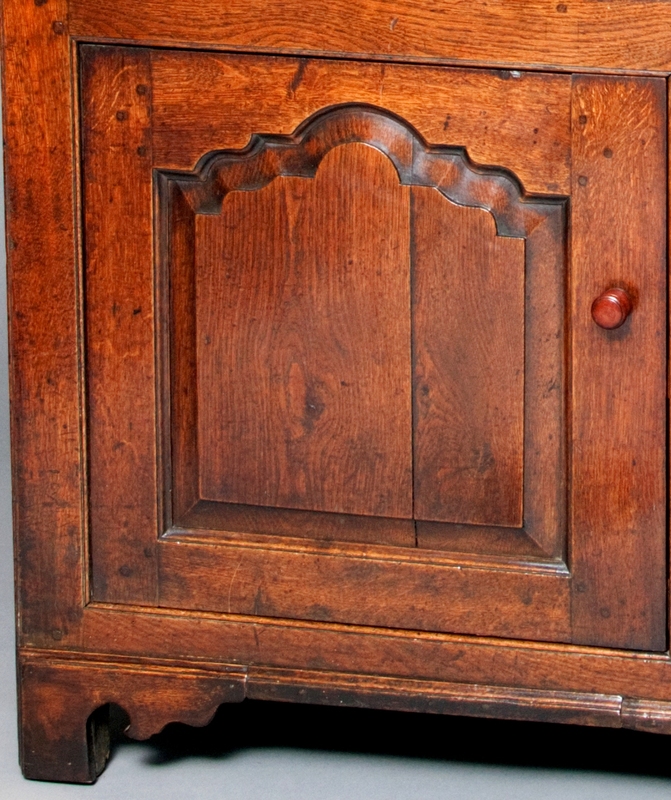 The striking form and character of Welsh dressers are unmistakable. 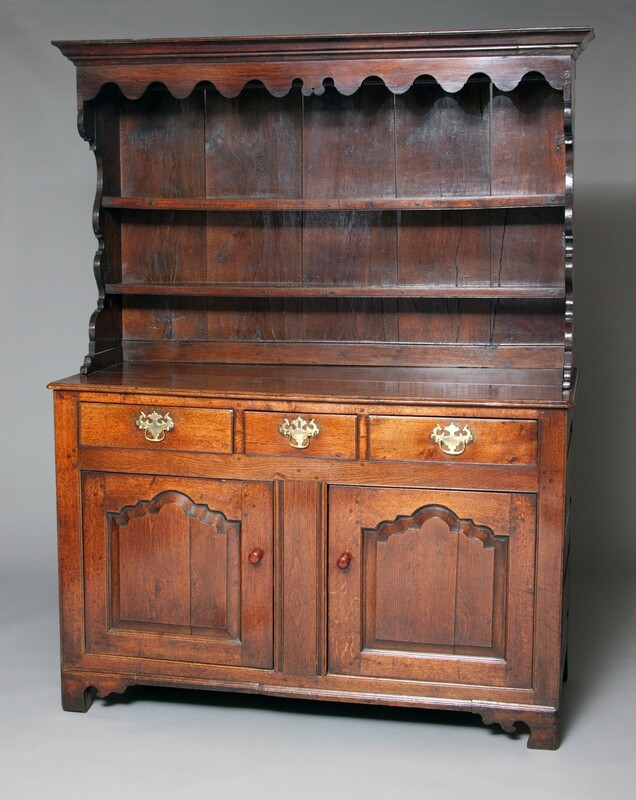 This is a wonderful small Welsh oak dresser with a canopy rack which has boldly shaped sides and frieze, and sits on a panelled base of three drawers with brass handles and two elaborately panelled cupboards which have original yew-wood handles. 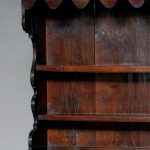 Provenance – John Parry Collection. 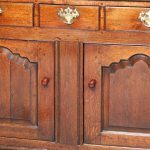 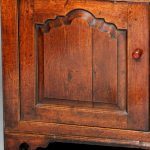 John Parry is one of the foremost collectors of early furniture with a particular passion for Welsh pieces. 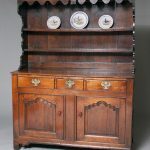 He has had two single owner sales at Christies including “The Parry Collection” a sale in April 1997, which was particularly remarkable for the amount of early Welsh furniture and included over ten dressers. 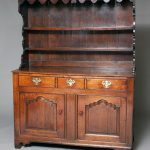 This dresser was acquired by John in the early 1990’s from descendants of the original owner who farmed in the Harlech area of North Wales.